The Computer Sciences Board of Visitors, established in 2006, is an advisory group of committed computer sciences alumni and others closely affiliated with the department. 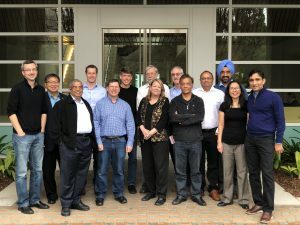 Meeting twice annually and lending expertise throughout the year, this body of accomplished individuals works to advance and strengthen the computer sciences department. Board members help the department identify needs, address challenges and plan for the future. The Board also forms a vital bridge between students, faculty, alumni and friends of the department, and between the university and the wider world. Some of our Board of Visitors members have taken a special interest in mentoring alumni interested in tech startups through organizations like the Badger Entrepreneurship Forum.